The argument soon turns violent as the guy rams his bike into the girl, who was sitting on the pavement, crying. He then starts punching and kicking her, mercilessly. A series of screenshots from the video, showing the man intentionally running over the woman. 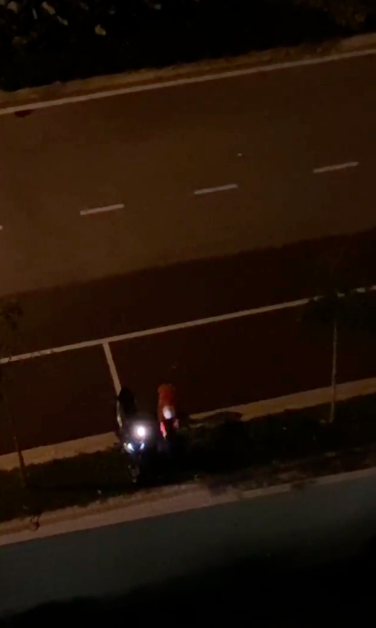 While speaking to mStar, about the incident, Khalil explained that at the time of the incident, which happened at around 9pm on Friday night, he had just showered when he heard a noise from downstairs that sounded like people were fighting. He didn't think much of it at first, but a few minutes later when he heard the woman crying, he recorded the incident on his Instagram Story. During which, the man leaves the woman but comes back a minute later and runs over her with his bike. He then gets down and starts attacking the woman, he told mStar. The man is seen assaulting the woman after ramming his bike into her. 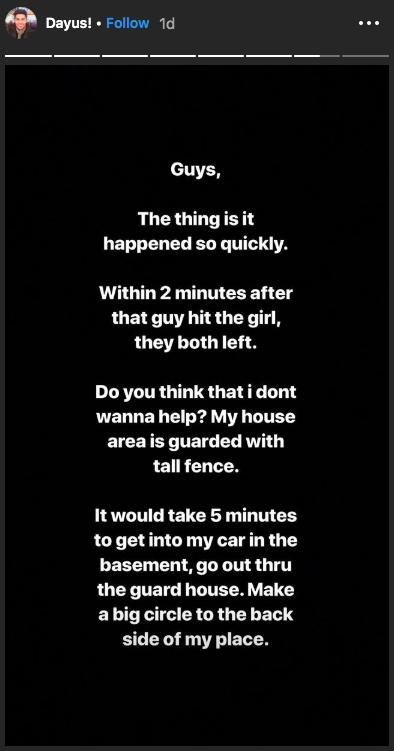 You can watch the entire incident as recorded by Khalil on his Instagram Stories, which was then made into a video by his friend and uploaded on Twitter. 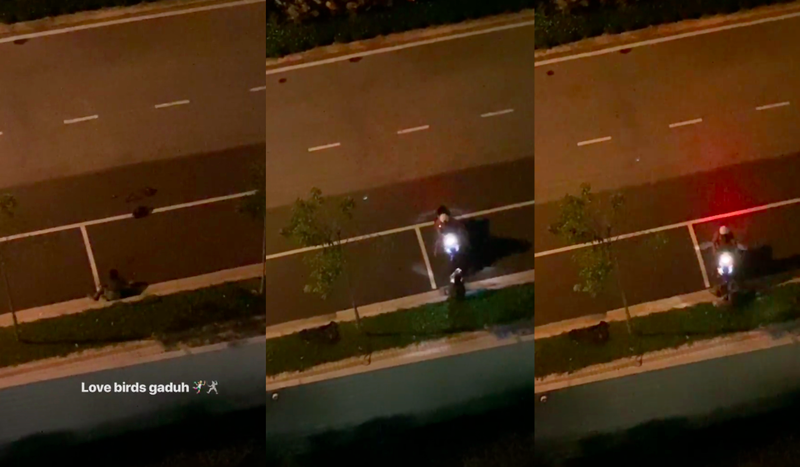 Khalil, who could be heard yelling and shouting at the man to stop, responded to the criticism via his Instagram Story, where he explained that the incident was over in less than a couple of minutes, which was not enough for him to reach the spot. 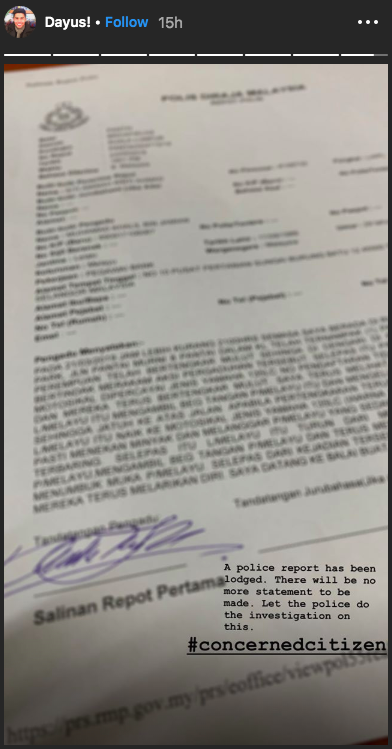 After informing netizens that he has made a police report about the incident, Khalil tweeted to show his appreciation for those were supportive of him. For the bad words i have received, its really not a big thing for me. If you think that you have the right to spill it out from your mouth, i assumed that you would have done better than me. Salute! Let us hope that the police would find their way to arrest the suspect. Women should be protected from physical abuse and violence.